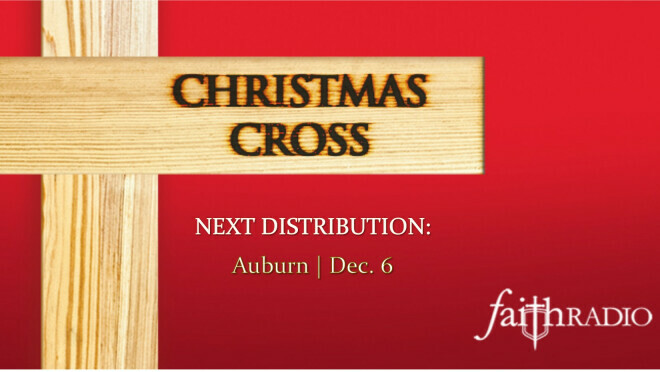 Faith Radio will be distributing Christmas crosses in Auburn at Parkway Baptist Church on Thursday, December 6 from 12:00 noon until 6:00 p.m. These 7-foot free-standing wooden crosses can be displayed as a symbol of Christ during the Christmas season. There is a limited supply of Christmas crosses, so make your reservations now at www.faithradio.org.